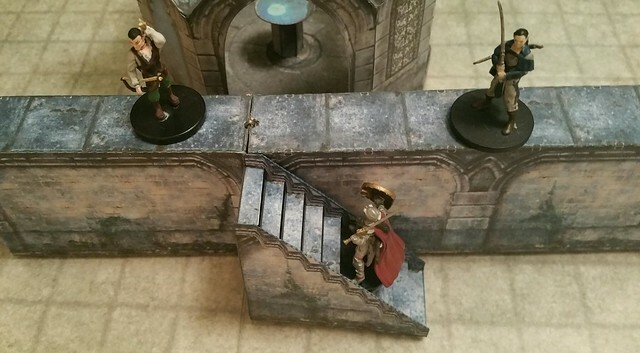 Background: BSGTony (lordzsezse)'s Kickstarter Elven Wall Set is now available. 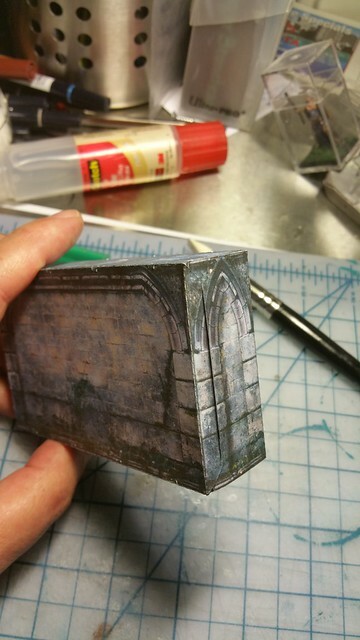 I am planning on making a LOT of this (hopefully in the Dark texture, if it comes out on time) but I don't have the space to store lots of boxy wall segments. At least the blank walls MUST be fold-flat. So, I started experimenting with various ideas to make that happen. I'm happy to report that I really like my section option, something I call "EZSlot Fold Flat". 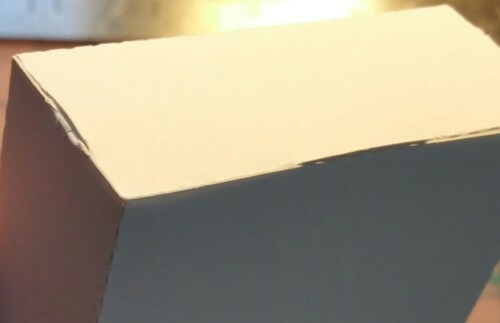 It only adds 2 cuts and doesn't change any other cuts/folds. The darker red lines are the new cuts. The side tabs are fold-in. Only the bottom tab is glued. 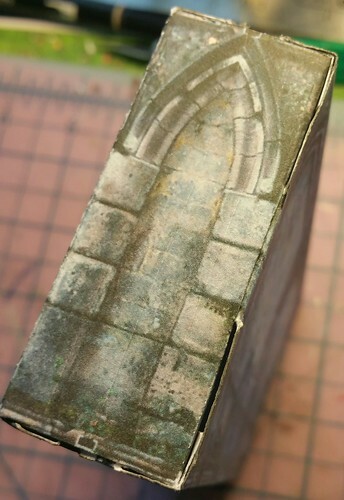 Here's the rub - if (and only if) you want the ends to look nice: The side former-glue-tabs are now outside the model, and so need to be textured. 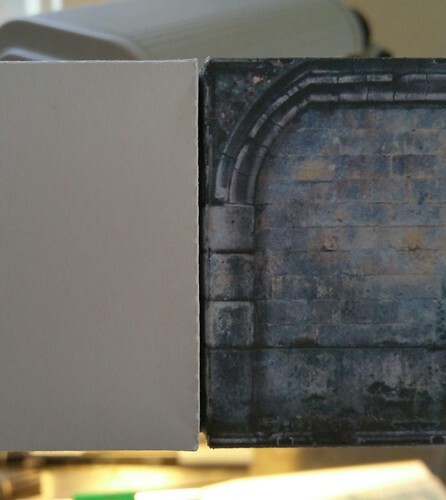 The texture is the inverse (rotate 180degrees) of the edges of the side panels. 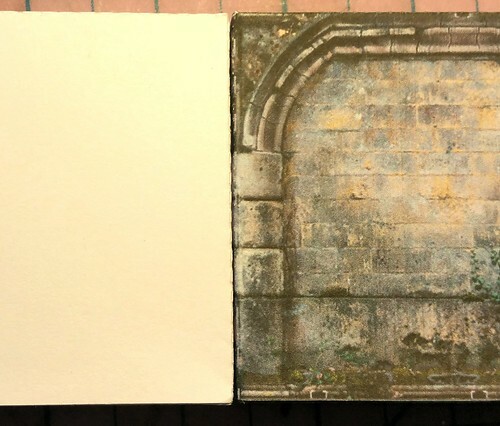 It's stronger than you think (at least using 80# card stock) - but not as strong as glued. 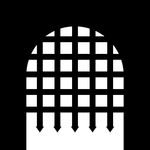 This technique makes no sense for walls with holes in them (such as gates.) 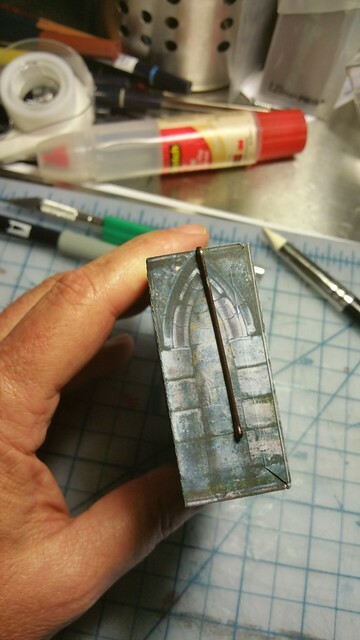 If you use these for only interior wall segments, you don't even have to retexture the fold-over-side-tabs, as the will be hidden when you bobbypin the whole thing together. For me this won't save 100% of the wall-storage problem, but I'm sure it'll make 80%-90% of the pieces take virtually NO space. That's a huge win for me. Very nice idea. I'm struggling to like any of these boxy wall builds... 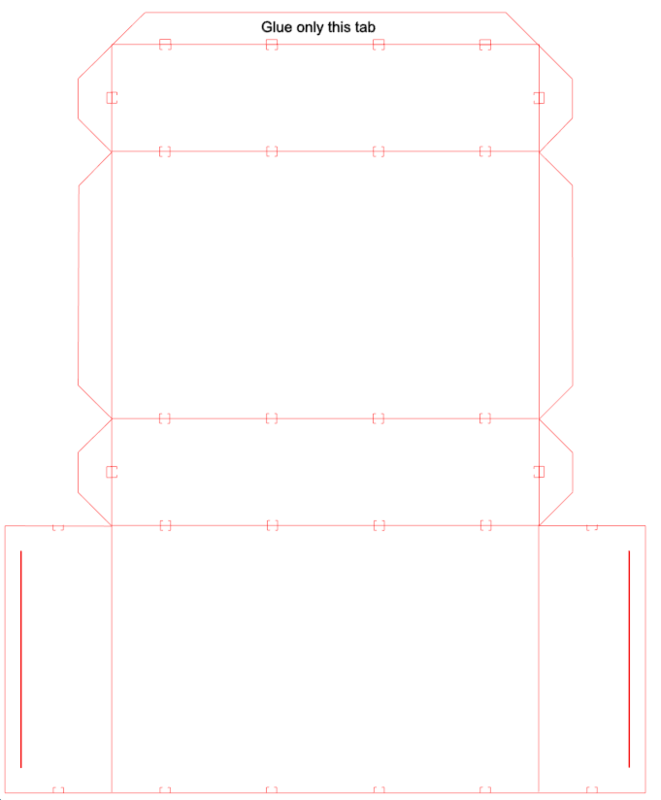 I really want a way to have a good modular floor... I haven't resigned myself to giving up on multi-level builds or custom floor tiles yet, but I feel that's where I'll end up. 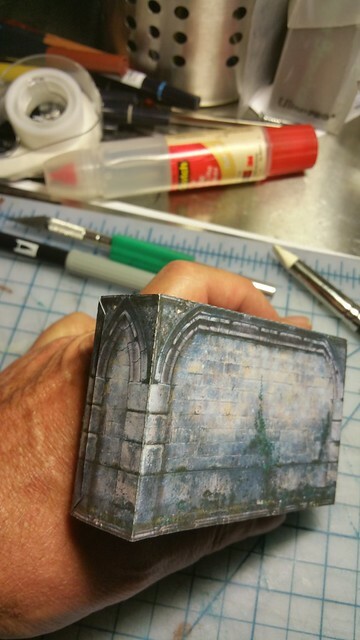 I see some fold flat Elven walls in my future. Thanks oldschooldm. 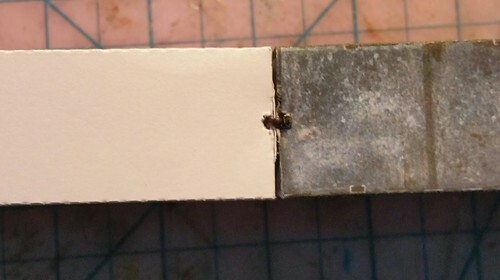 In short, replaced the too-flimsy-for-me interlocking fold-over corners with 2 more double thick insert tabs on each end. I then made one with the Moon Elf texture and build it. This is where the real payoff was - of all the fold-flat designs so far, there was some sloppiness in the side walls when pinned to other walls, when compared to glued walls. Though the fold time is more than a few seconds to get the tabs in the slots, it unfolds instantly with a fingernail under the side... Pop! I also love how this community working on projects together, building on each other's efforts. BTW, flipping the LZZ texture did get rid of the problems I was having with cutting the detailed endcaps. 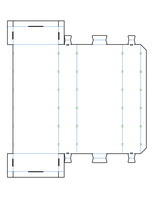 So I was looking at the latest diagram and noticed that the tabs could all go on in pairs (length of the wall) - if there was just away to attach the floor AFTER the sides. This isn't the traditional way to build these boxy walls. Then I thought "WAIT! 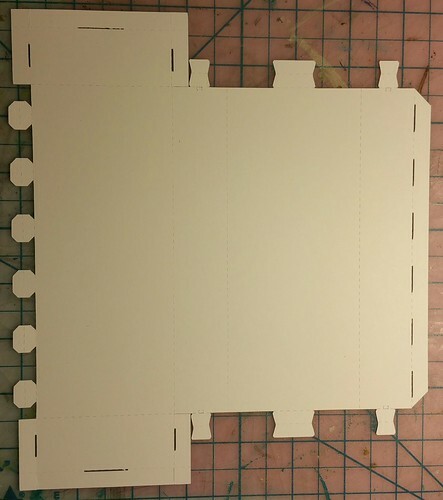 Could I build a NO GLUE fold-flat wall this way? Would it be strong and straight?" A close up showing the 6 bottom tabs inserted. 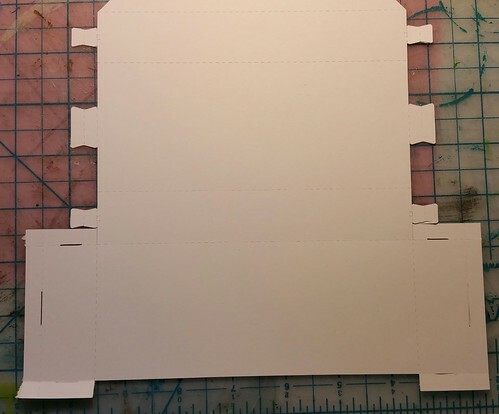 I didn't redesign the tabs to be no-glue (they glue 2 sides together for thickness) - I don't think the fold-over is needed - so many tabs can be thin. But here's the rub. The model is now significantly more complicated than the original box, with a LOT more cuts and scores - and they must all be perfectly straight, ruling out hand-cutting. 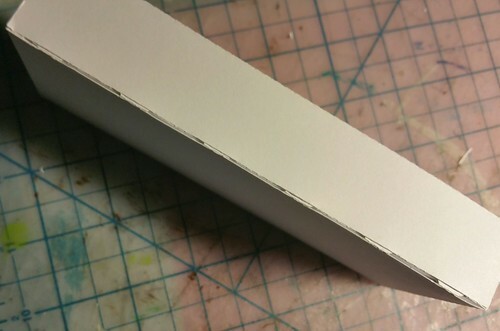 Honestly the box design was about simplicity, and this tosses that all away for a unneeded no-glue gimmic which significantly increases construction time. 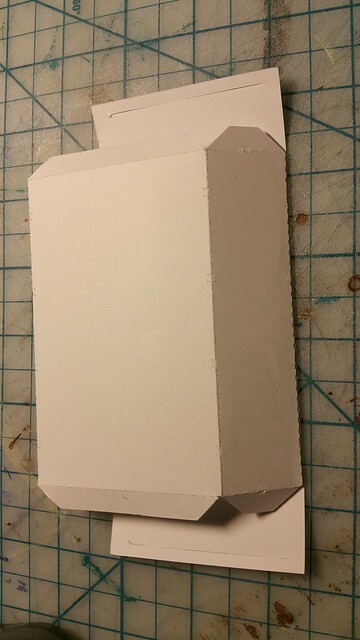 Fold flat with some glue is a better compromise for me, so I'm officially (finally) done with my quest for the fold-flat boxy wall. I've got two designs I like on this thread already. I'm retiring this experiment and moving back onto my Designer Staircase kit - I'd like to get that out before Christmas. Thanks for all the great ideas and contributions to this thread. And, if you'd like to continue and take this in a different direction, by all means, knock yourself out! So, to be sure I follow, you are saying that your design posted July 18 is the best fold flat wall you have tried, is a good compromise of ease of construction and strength and if someone was tempted to start building terrain, this is (July 18, 2015) the method you would recommend? There are trade-offs with each approach. Method 1: "Two Slits" is at cardboard-warriors.proboards.com/thread/6937/kitbash-boxy-walls-fold-flat is the first one I posted to this thread. If someone were starting out and didn't have a cutter, this would be a good option. 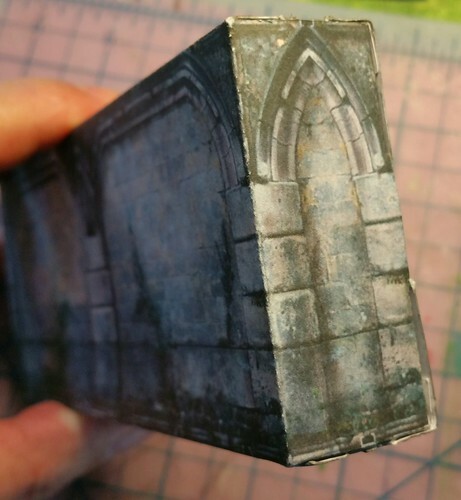 PLUSES: Works with ALL boxy walls, easy to mod, easy to cut, easy to "popup/popdown". 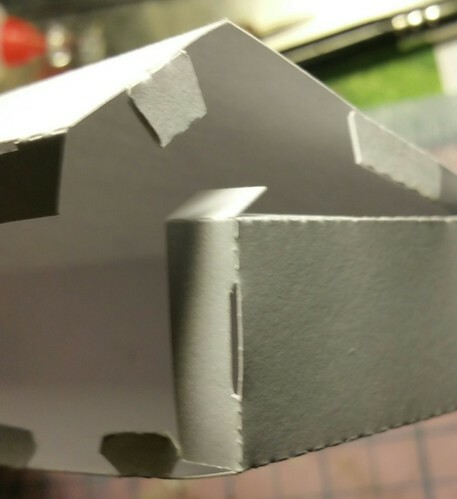 MINUSES: Much weaker than fully glued walls, not "tight" so walls wobble a bit when pinned together, tuck-tabs my need retexturing for any segments that will show at the ends in your build. Method 2: BSGTony (lordzsezse) made a model here: cardboard-warriors.proboards.com/thread/6992/help-test-fold-flat-wall. PLUSES: strong when folded, MINUSES Not tight (though tighter than "Two Slits"), fiddly popup/down, some tabs fragile, requires extra texturing, requires cutter. Method 3: My "6 tabs" variant of Method 2 at cardboard-warriors.proboards.com/post/69698/thread. PLUSES: Strong & tight when folded, no extra texture work. MINUSES: requires cutter. I prefer method 1 for about 50% of my new boxy-wall builds. These I will use for "interior" walls, pinned between stronger ones. 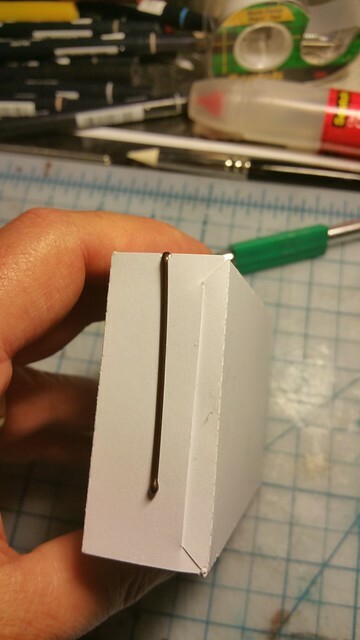 For the rest, because I have a cutter, I prefer method 3 - gluing just the bottom long-tab. Still takes some time to pop-up but the saved storage space is worth the bother.